Staying organized while raising toddlers and preschoolers can be challenging. 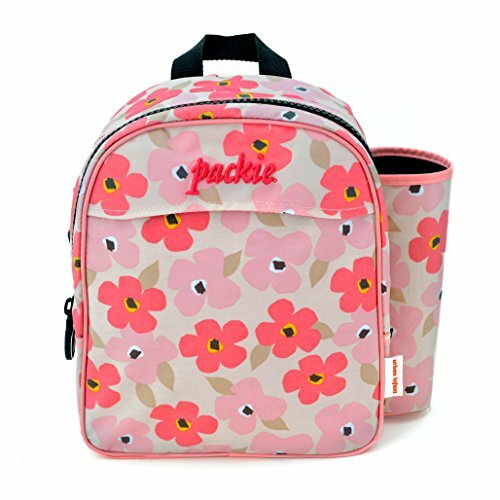 That is why this backpack is loaded with useful features for modern on-the-go parents. Rugged outer laminated fabric is waterproof and easily wipes clean. Features a patented art silo tube to roll and transport your child's art. Includes an expandable mesh beverage holder (new! ), an interior zippered compartment, a "D" ring for attaching a toy, and unique hidden clips to add/attach a matching Urban Infant Yummie lunch bag or pencil pouch. If you have any questions about this product by Urban Infant, contact us by completing and submitting the form below. If you are looking for a specif part number, please include it with your message.